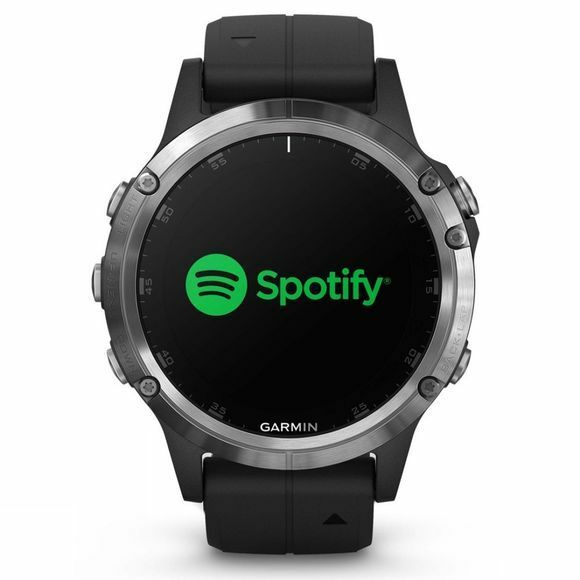 The Garmin fēnix 5 Plus watch combines premium-crafted GPS multisport capabilities, classic smartwatch features and ultra-rugged construction to bring you a timepiece worthy of even the most keen Alpinist. 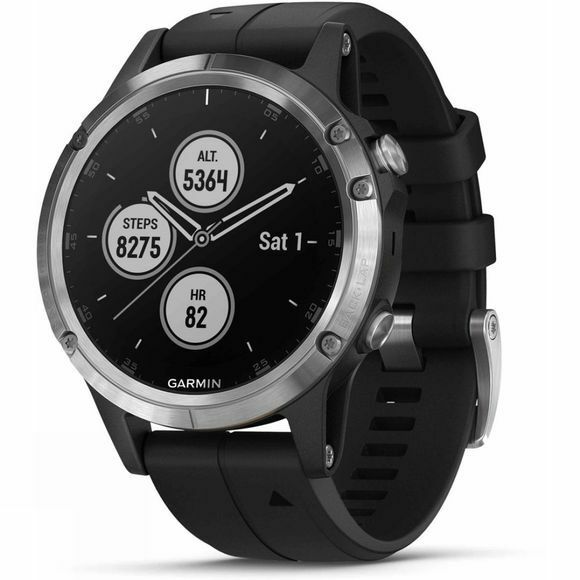 As well as retaining the original features from the Garmin fēnix 5, like key-stats and performance metrics for multisports, including snow sports, the fēnix 5 Plus series are preloaded with TopoActive Europe maps with Trendline popularity routing and Wi-fi connectivity. Multi- satellite capability combines with built-in navigation sensors and a long battery life to guide you with confidence. The 5 Plus series offers phone-free listening, allowing you to easily store up to 500 songs and play on the way to and from the slopes by connecting to Bluetooth headphones , and introduces Garmin Pay contactless payment system, so you can pay with your watch in between runs on the slope instead of reaching into your pockets for your wallet with your gloves on. Smart notifications such as calls and texts keep you in the loop while on piste, and auto-uploads to Garmin Connect logs your progress and gives you access to a large online fitness community All of this is displayed in a 1.2" sunlight-readable domed mineral glass lens, housed in a stainless-steel bezel, fit for adventure and allowing perfect mapping readability, even in the winter sun or with glare from the snow.